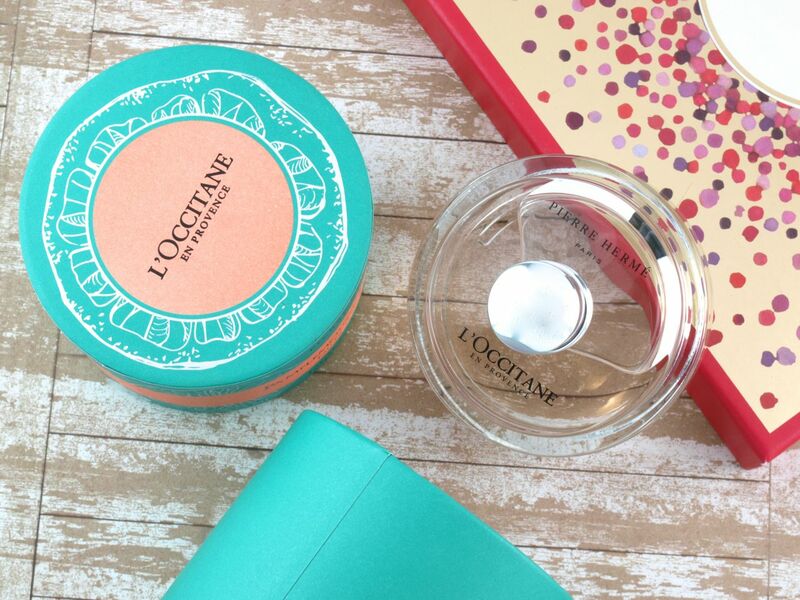 Housed in an adorable teal and orange round box, the Grapefruit & Rhubarb Eau de Toilette ($65 CAD) comes in a rather plain bottle. I appreciate the simplicity but I wish the bottle had a cuter design that would have made it just as precious as the box. With a chipper but not sharp grapefruit opening, this fragrance is surprisingly warm with a name boasting both rhubarb and grapefruit. I personally can't really distinguish the rhubarb but I can definitely detect the warm spice and woodsy notes. Overall, this is a really lovely scent, it's fresh yet comforting, perfect for the winter months but equally appropriate for the summer! 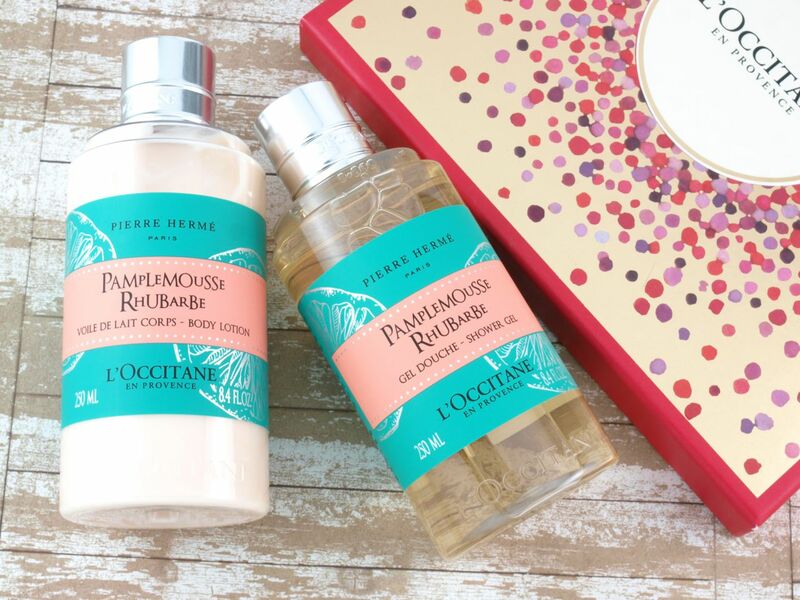 In addition to the Eau de Toilette, the collection also includes a lightweight body lotion ($32 CAD) and a refreshing shower gel ($22 CAD), both in the Grapefruit & Rhubarb scent. 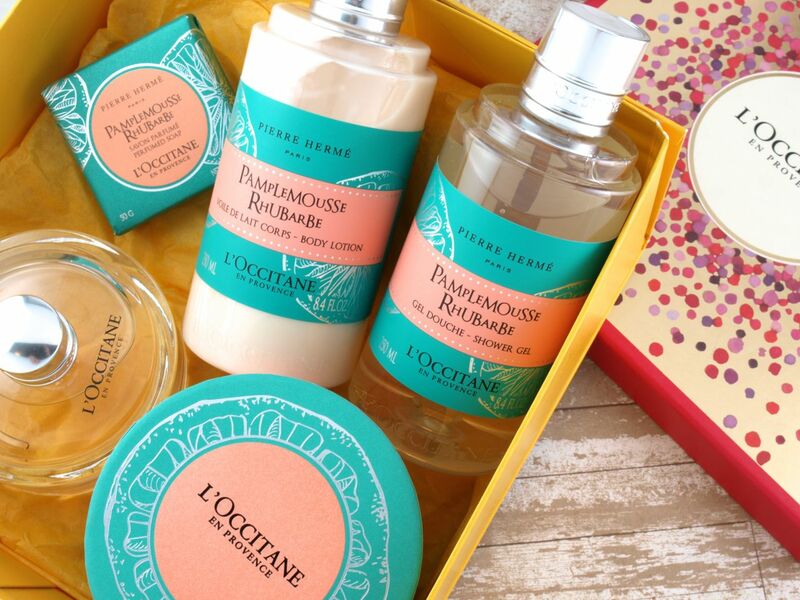 L'Occitane currently has a lovely Grapefruit & Rhubarb Gift Set available as well, it's all nicely packed up and ready for gifting. For this holiday season, L’Occitane (North America) is proud to partner with Dress for Success® to give back to those in need. $10 of the purchase of each gift box, totaling a donation up to $120,000, will help outfit a woman for her job interview.